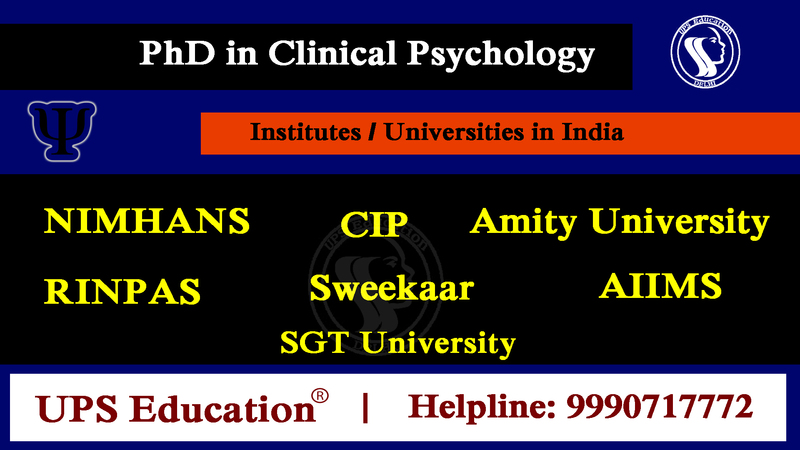 To become a registered clinical psychologist in India, it is necessary to take licenses from (RCI). 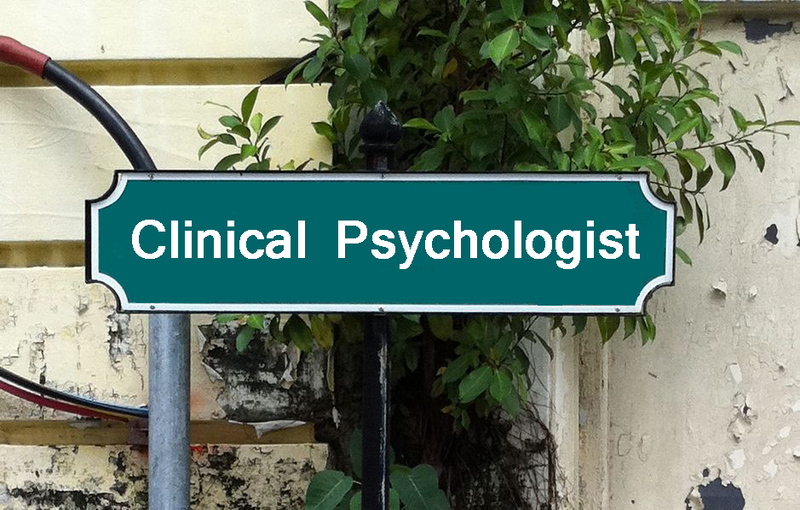 And to get the license of a clinical psychologist from RCI, candidate should have M.Phil in Clinical Psychology degree of a RCI recognized University/Institute/Hospitals. Usually universities conduct entrance examinations for admission in M.Phil Clinical Psychology Course, and they have very limited seats. So it’s not going to be easy to take admission in said course due to very tough Competition and the ratio of the number of seats vacant and numbers of applicants in a session. Competition is very tough but not impossible, if you are keen to become a Clinical Psychologist then it will become easier for you. 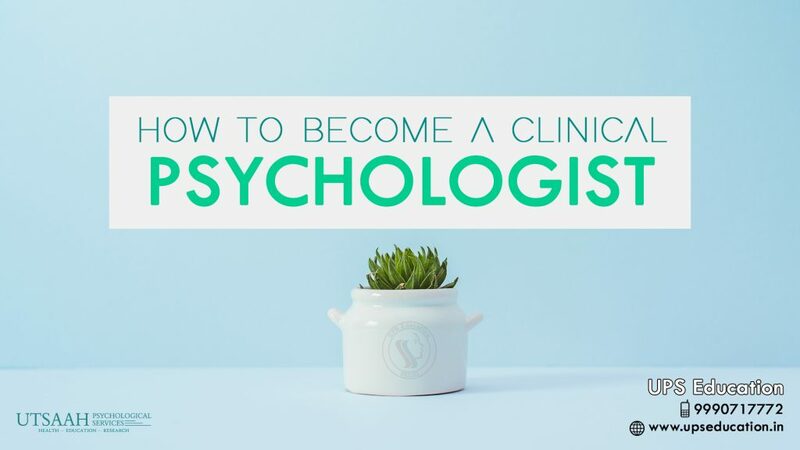 You can start your practice as a Clinical Psychologist once you got the degree of M.Phil in Clinical Psychology from RCI recognized University. 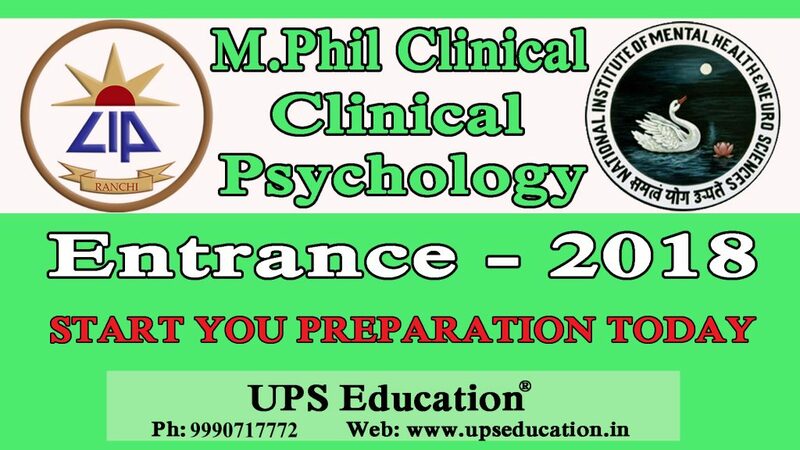 Start the journey of our dream with UPS Education (India’s No.1 Institute for M.Phil Clinical Psychology Entrance Coaching) and move towards your goal. We have both Classroom Coaching mode as well as Distance Learning coaching mode. 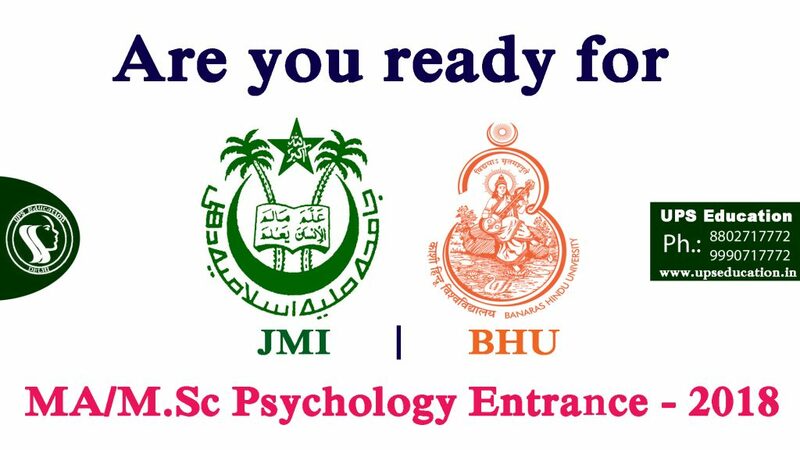 This entry was posted in Coaching for M.Phil Clinical Psychology Entrance, m phil clinical psychology coaching, M. Phil Clinical Psychology Coaching, mphil clinical psychology entrance, psychology, एम फिल क्लिनिकल साइकोलॉजी, एम फिल नैदानिक मनोविज्ञान and tagged how to become clinical psychologist, how to become psychologist, how to become psychologist in india on September 8, 2018 by UPS Education. The very first goal of Psychology is to observe behavior and describe, often in minute detail, what was observed as objectively as possible. 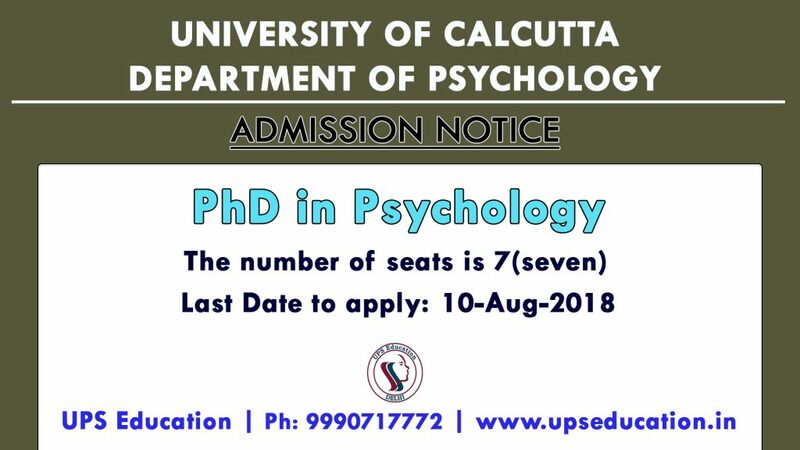 This entry was posted in approaches of psychology, psychology and tagged goals of psychology, psychology goal, psychology motives, what is psychology on August 7, 2018 by UPS Education. 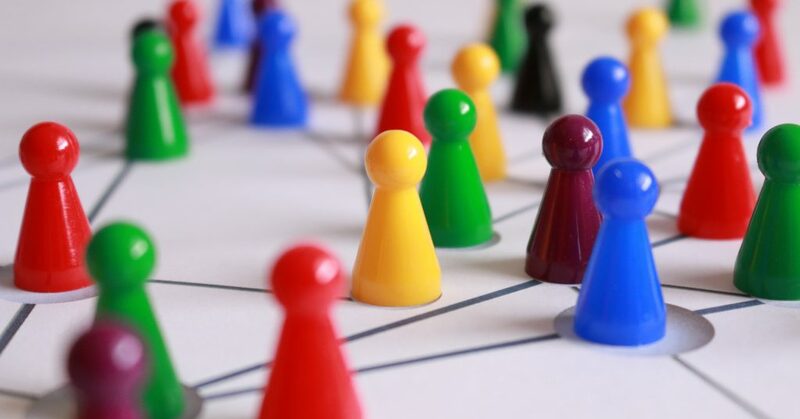 Remember that nobody is a born leader, but a few simple tips gleaned from psychological research may help you to improve your leadership skills. Study of Organizational Psychology (OB) or Industrial Psychology help you to improve your leadership skills. Communication involves much more than how you speak or write. Research suggests that nonverbal signals make up a huge portion of our interpersonal communications. 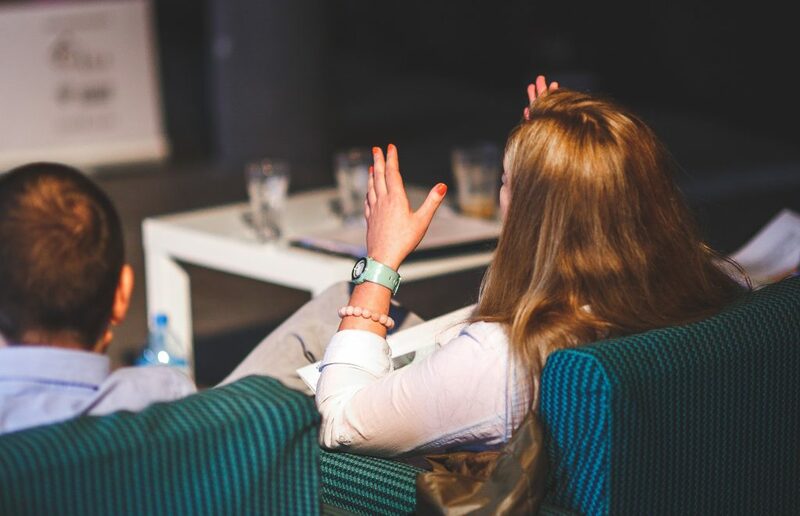 To communicate your message effectively, you need to learn how to express yourself nonverbally and to read the nonverbal cues of those around you. Study of Psychology gives you the ability to understand your emotions and the emotions of those around you plays an important role in your relationships and professional life. The term emotional intelligence refers to your ability to understand both your own emotions as well as those of other people. Your Emotional intelligence quotient is a measure of this ability. 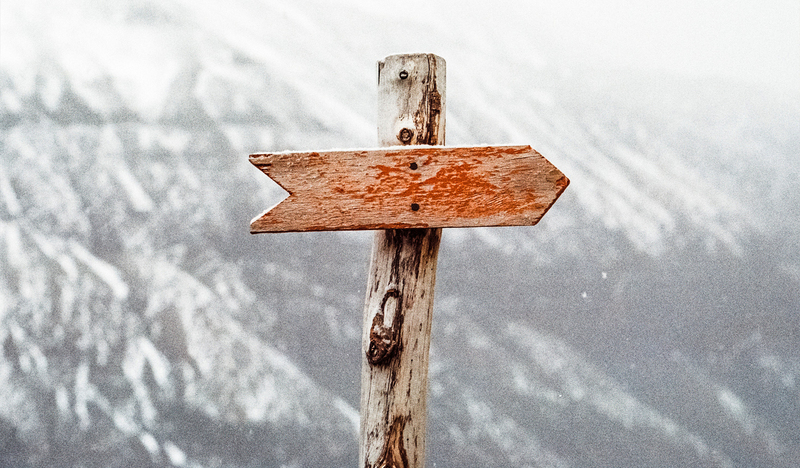 According to Psychologist Daniel Goleman, your EQ may actually be more important than your IQ. Psychology can also be a useful tool for improving your overall health. 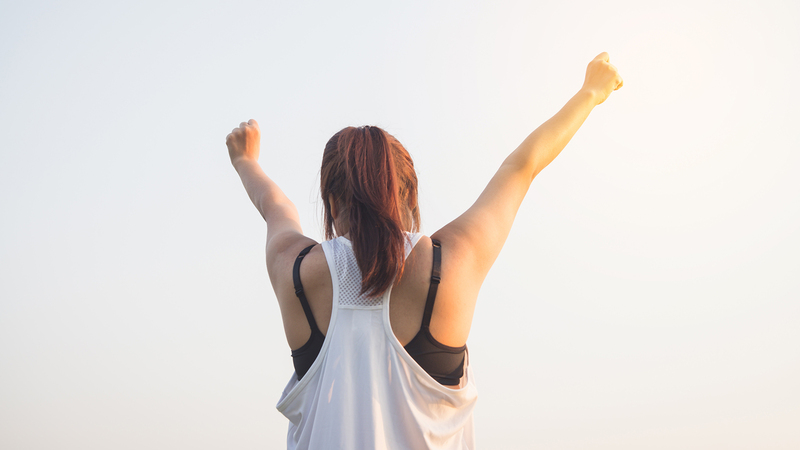 From ways to encourage exercise and better nutrition to new treatments for depression, the field of health psychology offers a wealth of beneficial strategies that can help you to be healthier and happier. Research has demonstrated that exercise can contribute to greater psychological well-being. This entry was posted in psychology and tagged psychology is helpful on May 24, 2018 by UPS Education. 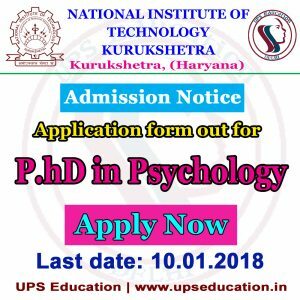 Application form is out in NATIONAL INSTITUTE OF TECHNOLOGY KURUKSHETRA For Admission to PhD in Psychology Program under Humanities & Social Sciences Department. 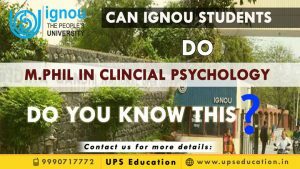 Contact UPS Education for PhD Psychology Entrance, M.Phil Clinical Psychology Entrance Coaching, Study material, Test Series, Question Bank. 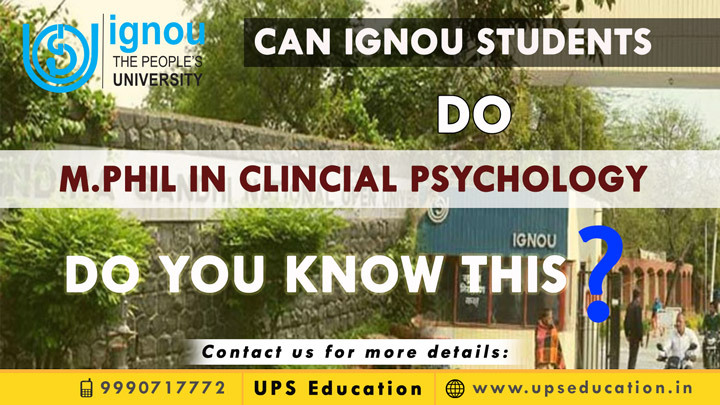 UPS Education provides coaching classes and study material for various Psychology Entrance Examinations. 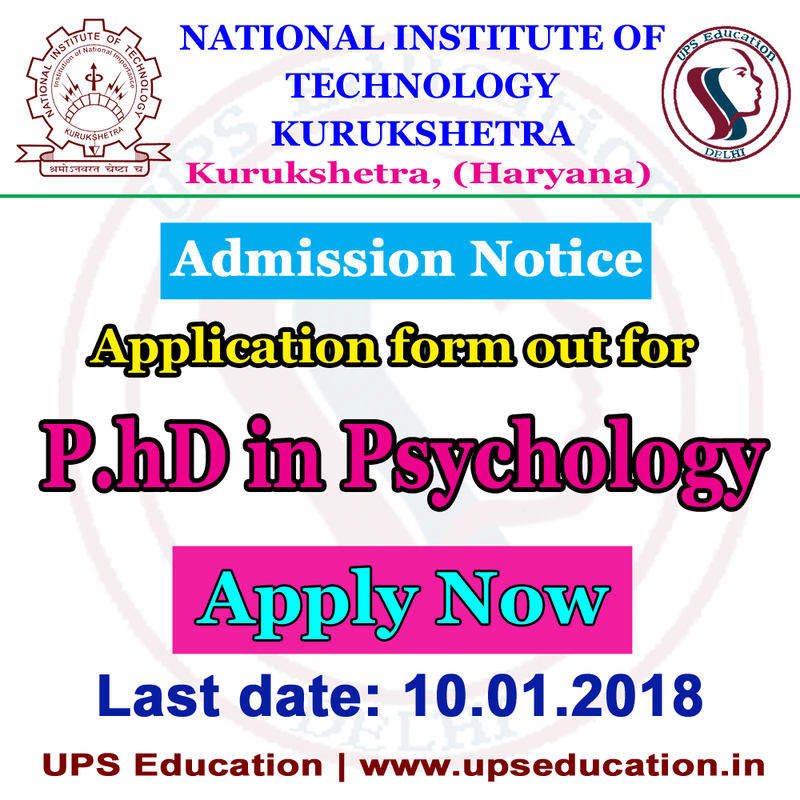 This entry was posted in psychology and tagged admission in phd psychology, NIT Kurukshetra PhD in Psychology, NIT Kurukshetra phd psychology fomr, NIT Kurukshetra psychology admission 2018, PhD Psychology admission, phd psychology admission 2018, phd psychology entrance 2017-2018 on December 18, 2017 by UPS Education.